3D Donut Chart3D Donut chart is a way of visualizing data using donut chart. 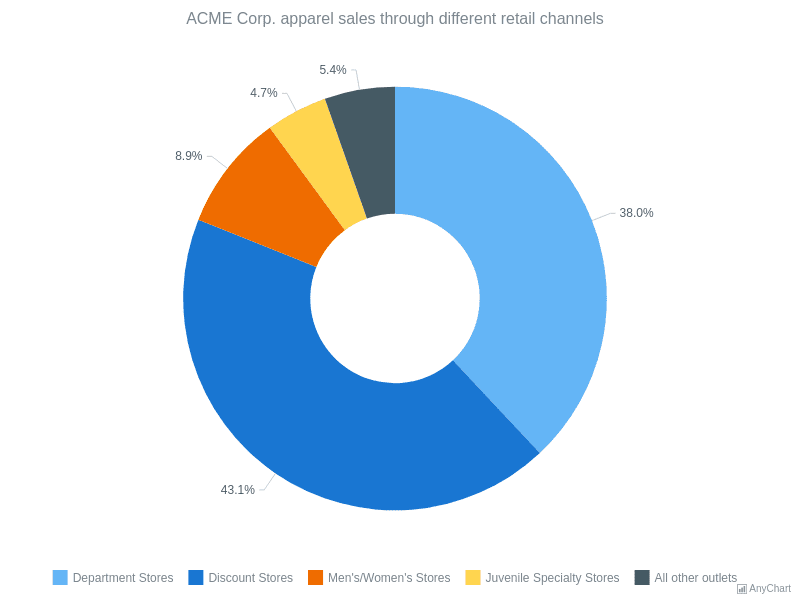 This chart demonstrates 3D mode for donut chart with chart's legend and enabled labels. 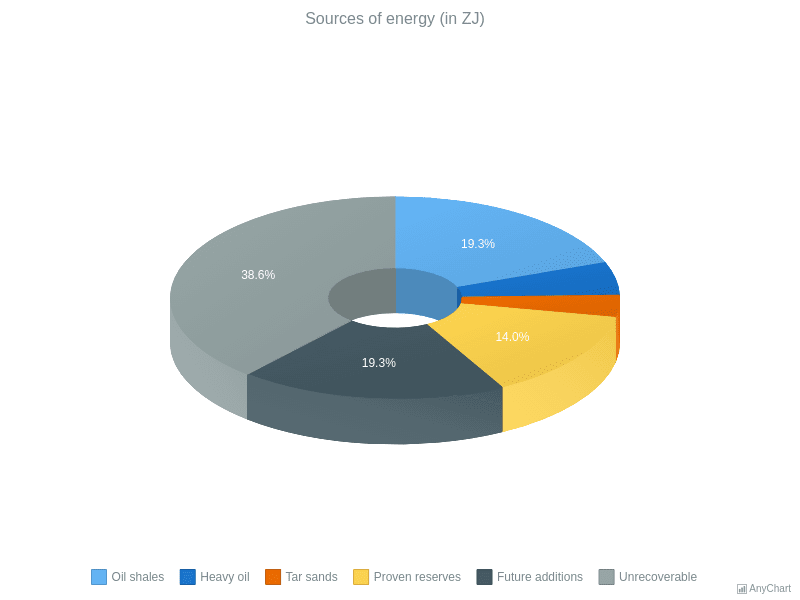 The chat shows the percentage of the world's main sources of energy. 3D Pie Chart3D Pie chart brings a bit of adjustments into the pie chart's appearance. This 3D pie chart has interactive legend. Labels are enabled to show the percentage value of each slice. Current chart represent the percentage of population in The Shire. Donut ChartDonut Chart example with a text as the Center Content. 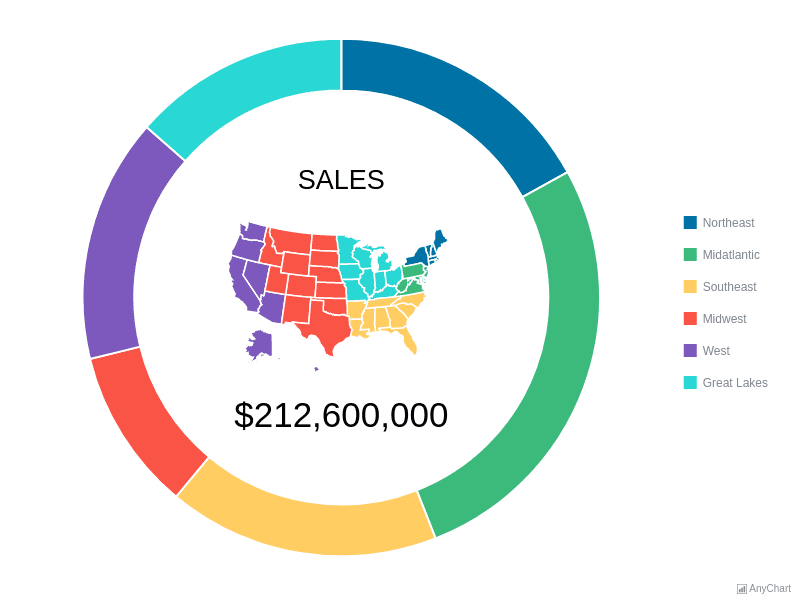 Donut ChartDonut Chart example with a Geo Map integrated as the Center Content. 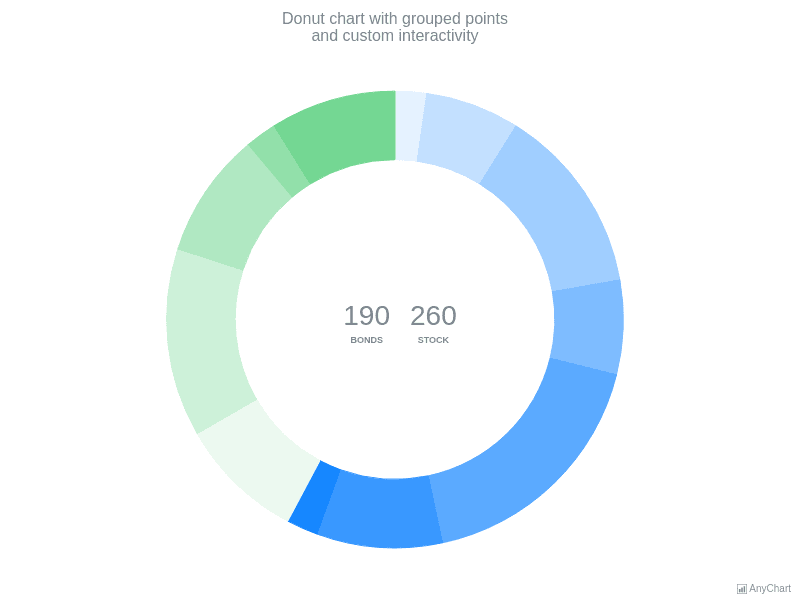 Donut ChartDonut Chart example demonstrating the application of complex interactivity settings. 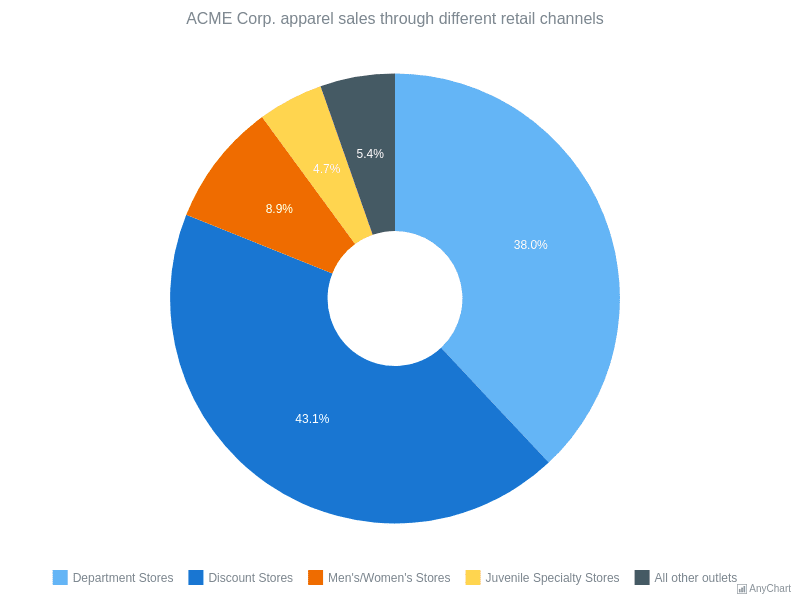 Donut ChartThis simple donut chart represents the sales of the ACME Corp. from 5 different retail channels. The chart's legend is enabled and it can be used for interaction with chart. Labels displayed only on the most significant slices. 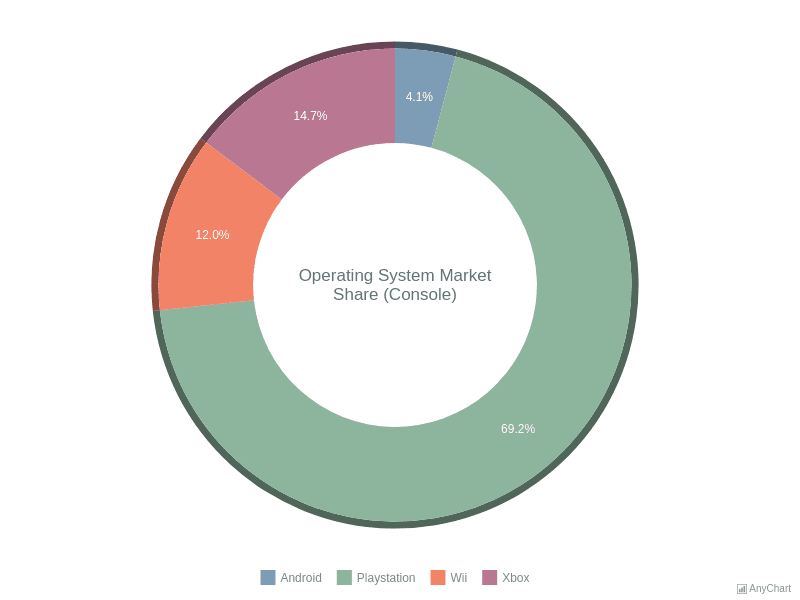 Donut Chart with Custom CategoriesHere is a donut chart with all the points divided into two categories. Each point was colored according to its category. Labels inside the donut are interactive and can be used instead of the chart's legend. Donut Chart with Outside LabelsDonut chart with labels that were placed outside the chart itself. Connectors to the labels are enabled. 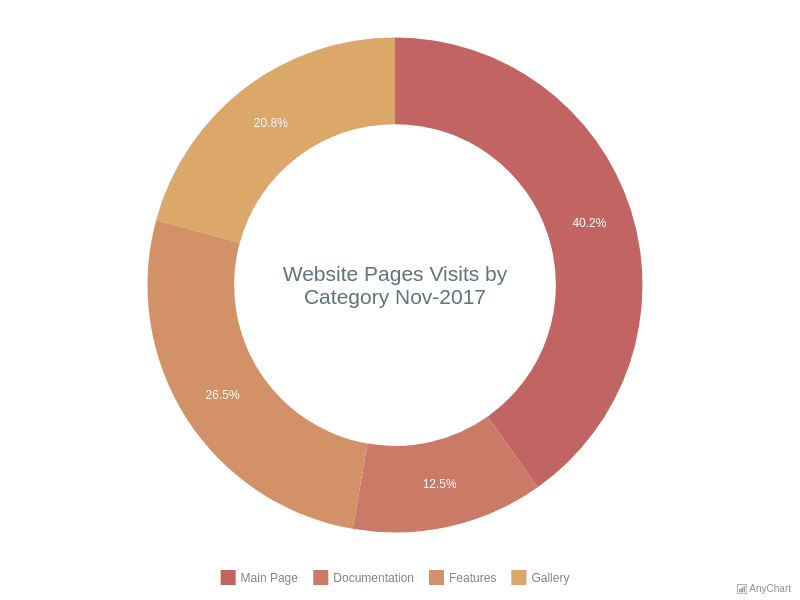 The legend displays the names of categories and can be used for interaction with chart's slices. Donut Chart with Range PaletteHere is a donut chart with customized colors. Legend is enabled and placed at the bottom of the chart's plot. 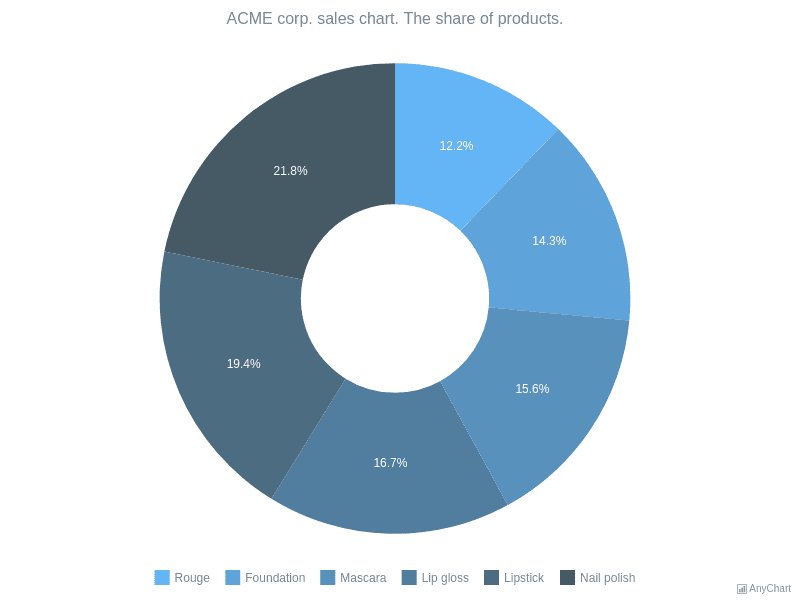 This chart displays ACME Corp. revenue from cosmetic sales. 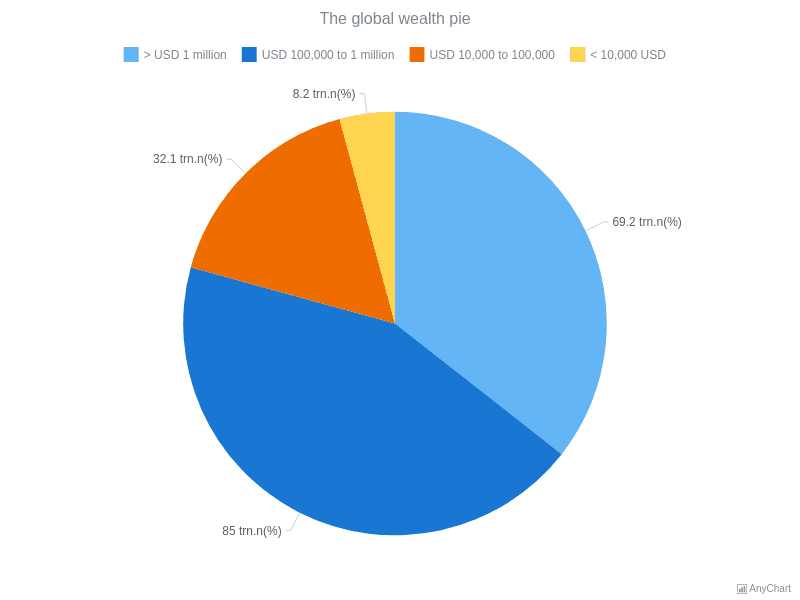 Pie ChartBasic plain pie chart displays global wealth distribution. 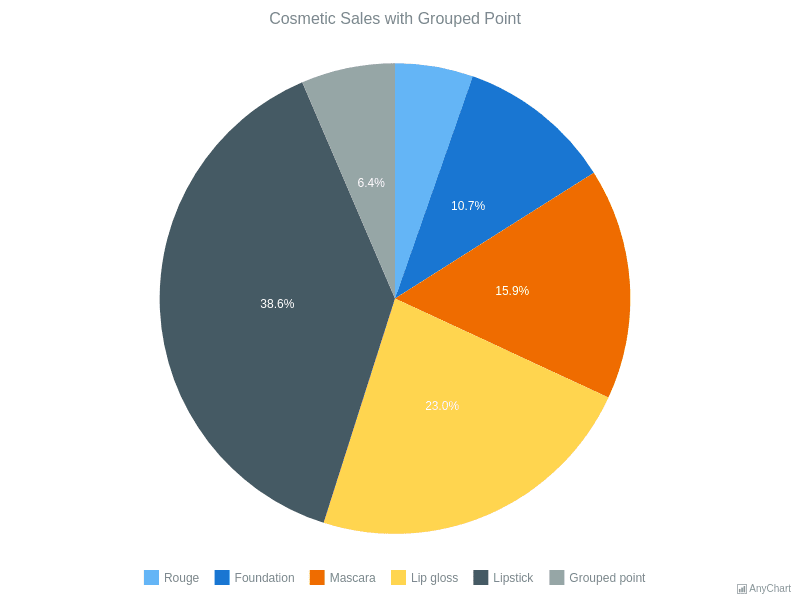 Pie Chart width Grouped PointsThe pie type of charts is a circular statistic graphic that should have less than 7 categories. This chart shows the way of grouping points with insignificant values. The chart's legend and labels are enabled. Pie Chart with Outside LabelsPie chart with labels that have outside position. The chart has a legend is placed at the bottom of the chart and can be used for interaction with the chart. 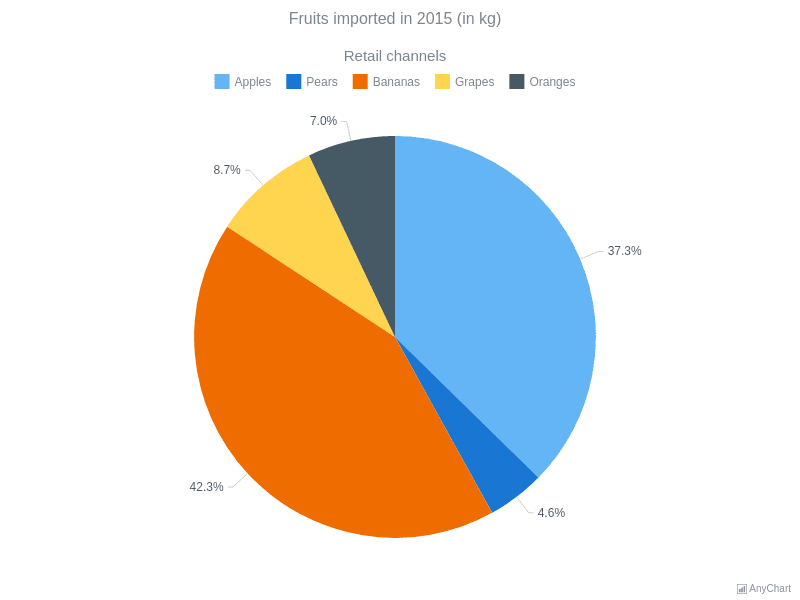 Current chart visualize the volumes of imported fruits in 2015.